Last weekend I was playing with my new eReader: the interface with the computer, online shops interfaces, how to get files into it, how to make notes… and I read the eBook “Abraham Lincoln” by James Russell Lowell (which is not really a biography but an editorial about the president). “Among the lessons taught by the French Revolution there is none sadder or more striking than this, that you may make everything else out of the passions of men except a political system that will work, and that there is nothing so pitilessly and unconsciously cruel as sincerity formulated into dogma. It is always demoralizing to extend the domain of sentiment over questions where it has no legitimate jurisdiction […]”. 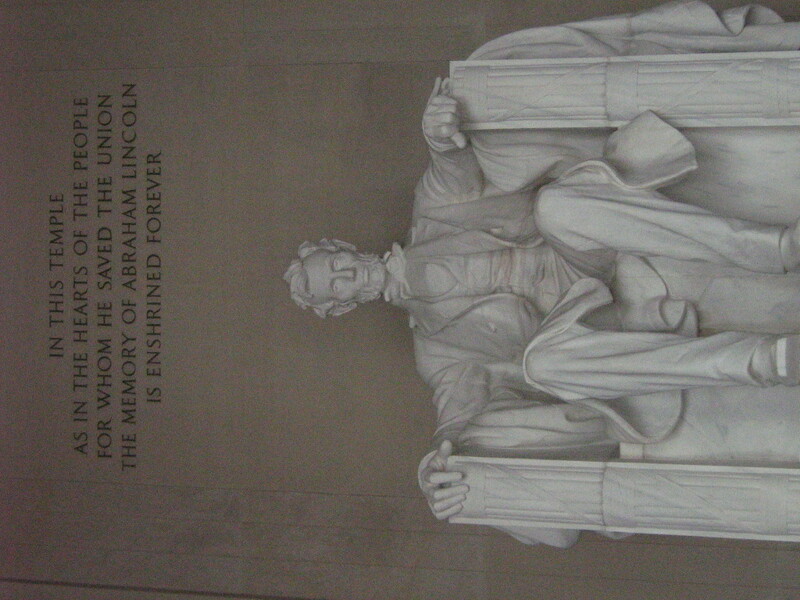 Abraham Lincoln memorial in DC.